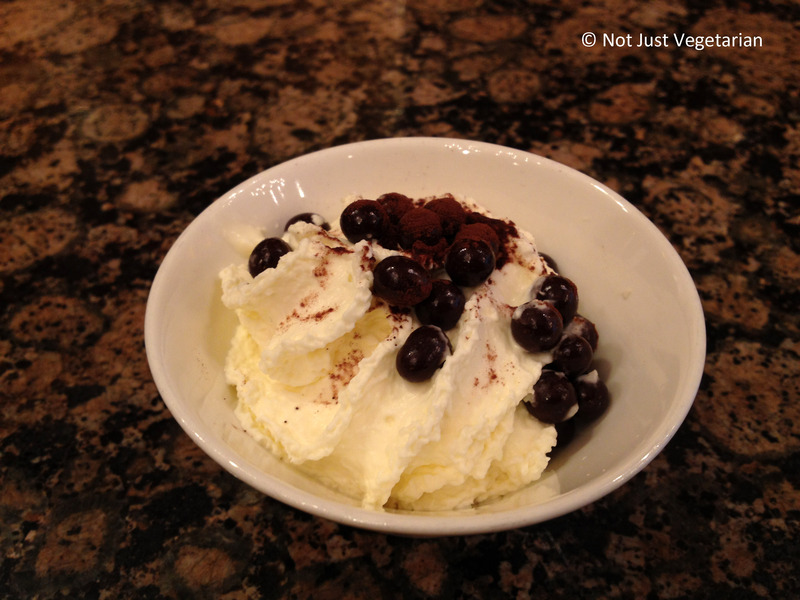 This is chocolate week on Not Just Vegetarian!! 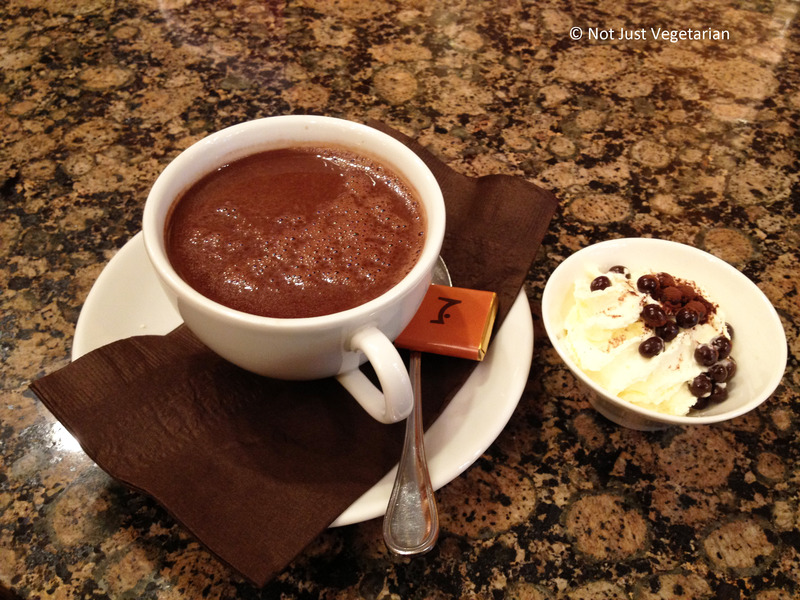 La Maison du Chocolat is one of my favorite places in NYC to get a cup of rich, dark chocolate! The hot chocolate is not very thick (not as thick as the hot chocolate in Apostrophe, London), but rich and smooth, like velvet. 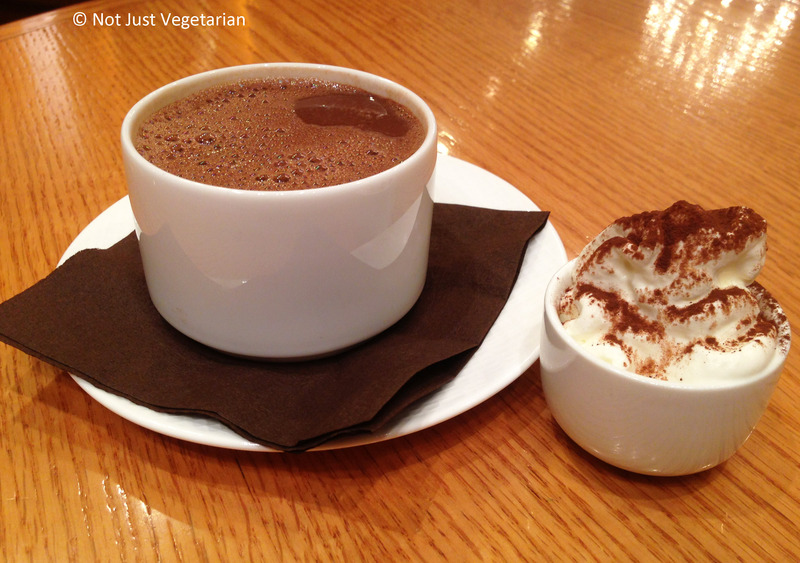 The best part about the hot chocolate at La Maison du Chocolat is that the cream is usually served on the side. As you can probably tell from the pictures below, I have been there more than once to sample the hot chocolate / to refresh my memory of the mouth feel of the hot chocolate, despite the steep price per cup – almost $7 or $8! 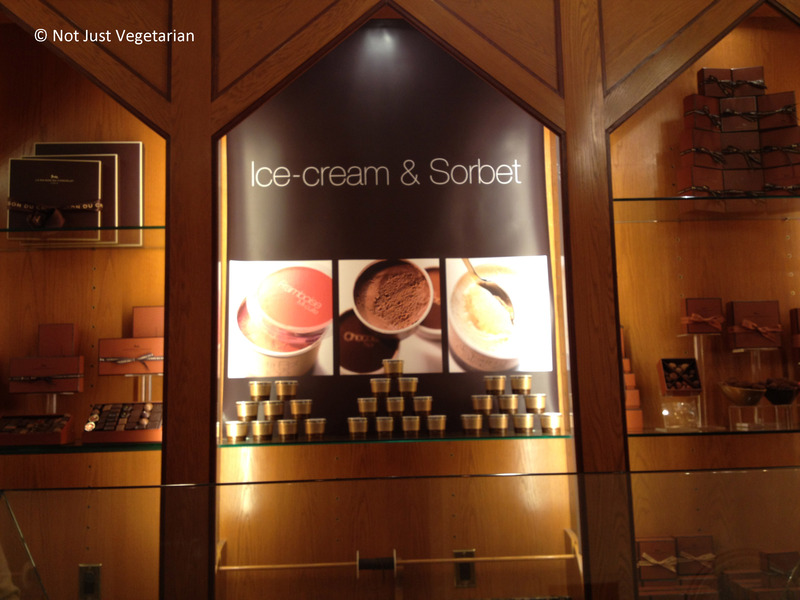 La Maison du Chocolat has boutiques all over NYC (besides global ones in London, Paris, Hong Kong, and Tokyo) – the one that I have visited the most is in the Rockefeller Plaza in NYC, one of the busiest (/ most touristy) areas. 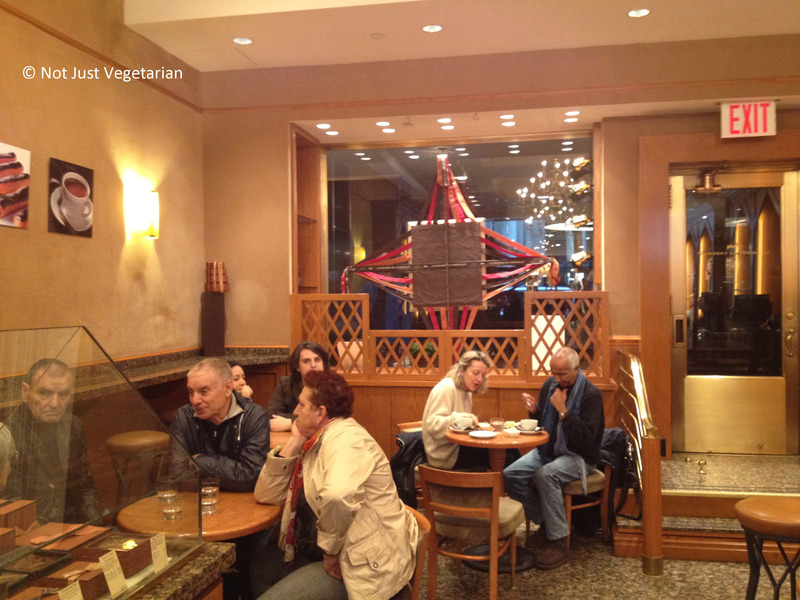 If you are tired of sight-seeing / ice skating at the ice rink in the Rockefeller center, you know where to go to sit and enjoy a quick cup of rich dark chocolate. 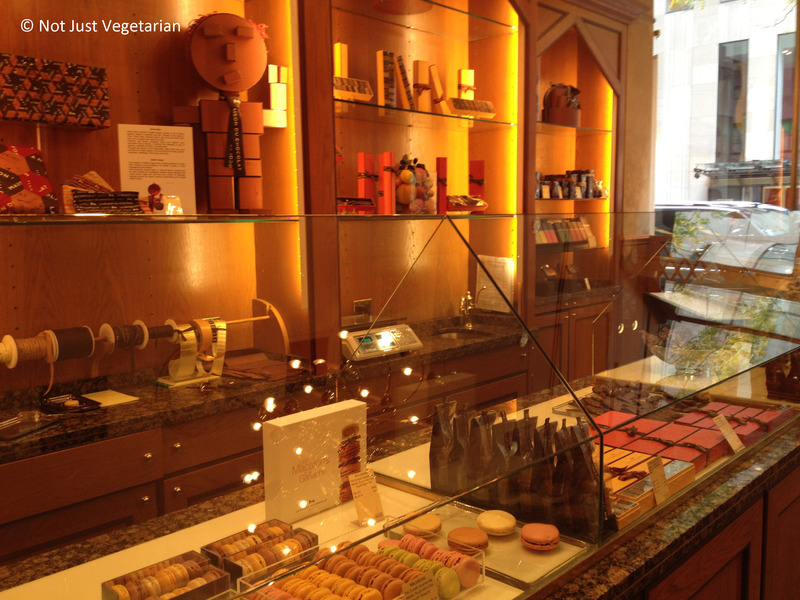 The chocolate boutique has many mouth-watering little bites.